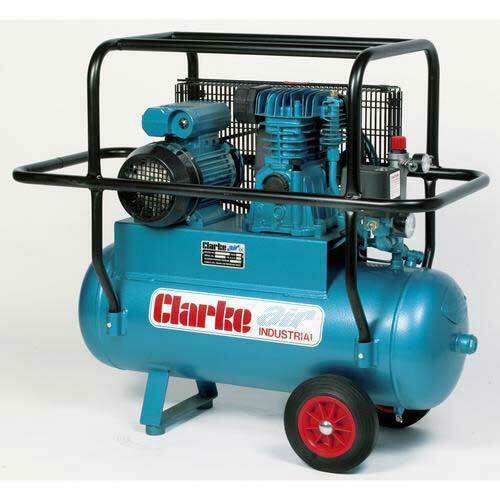 Clarke's 110-volt PEH10 offers solid performance and reliability, plus the added convenience of being portable - ideal for builders & others working on site, for industrial and commercial operators, garages, factories and farms too. This robust machine is protected by a steel frame to prevent accidental damage happening to the motor, compressor pump or switch gear. And, of course, it's capable of providing a more than adequate volume & pressure of compressed air to power professional spray-guns & many of the most frequently used air tools.